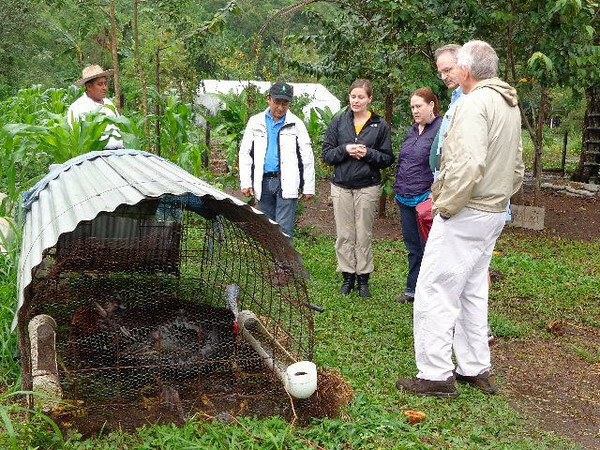 Pej Pem Center serves as a demonstration farm for subsistence farmers living near Palenque. Here, farmers can see how a shelter for turkeys keeps them safe from predators. Maize, a staple food of the Ch'ol people, surrounds the enclosure.